However, rather than maintaining a religiously neutral state, Bill 21, An Act Respecting the Laicity of the State, would in fact legislate the very kind of governmental interference in religion that you claim to oppose. As Christians, we believe that the earth and its creatures have an abiding relationship to their Creator. Seeking to participate and give expression to this relationship in some form is a part of being human. For some this will mean wearing religious symbols and attire—such as a hijab, yarmulke, or cross—objects that can be intrinsic to the practice of one’s faith, and which cannot be removed at a whim. We therefore embrace the vision of Quebec as a secular state that is pluralistic, privileging no particular religion, yet creating the space in which Quebecers of whatever (or no) religious tradition can fully participate in public life and contribute to the common good, including as public servants. We appreciate your recent call for the debate around this proposed legislation to be conducted in a manner that is respectful and not divisive. However, we know too well that proposed laws such as Bill 21 risk contributing to a climate of suspicion and fear of others—especially Muslim Quebecers—at a time when we need our government to help protect, rather than further and needlessly target, our neighbours. The horrific mass murder at the Grand Mosque in Quebec City in 2017 calls us to be mindful of how our debates might stoke the fires of fear, and put people’s lives at risk. We agree with you, Premier, that it is time for Quebec society to move forward on this matter. However, our own experience has taught us there is another way to do so. One of our church’s principles of dialogue with people of other religions is to “meet the people themselves and get to know their traditions.” This too is common sense, and has helped us change attitudes, challenge stereotypes, and build new relationships with people of other faith communities. We have been enriched and blessed, not impoverished or threatened, by face-to-face exchanges with these neighbours who have now become friends. It is only in encountering our differences honestly and openly—rather than hiding or suppressing those differences—that we can hope to build a truly secular and pluralistic Quebec that provides all of its citizens with the opportunity to flourish. Younger clergy and their families spend a weekend with the bishop and Bonhomme, a new way forward for St. George's in Drummondville, and columnist Louisa Blair feels a collection coming on. This and more in the April 2019 edition of the Quebec Diocesan Gazette. Saying farewell to a 104-year-old faithful servant, preparing for Lenten Spring cleaning, putting Christian unity "on ice," and making sure you keep your subscription to the Diocesan Gazette and Anglican Journal up to date. 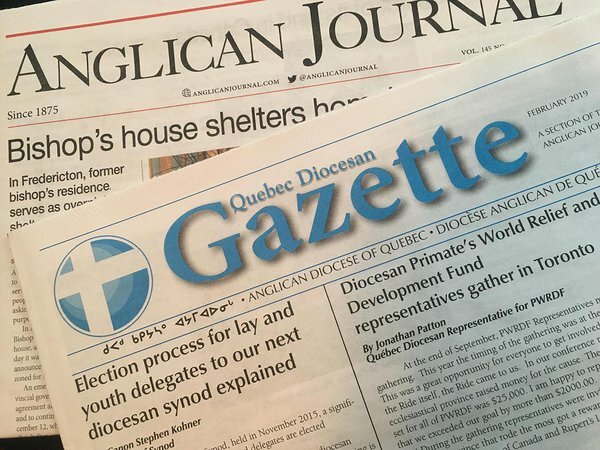 All of this and more in the March 2019 edition of the Quebec Diocesan Gazette. Remember the life, ministry, and witness of Archdeacon Robert Bryan; preparing for diocesan Synod 2019; and reflecting on what it means to belong to God. All of this and more in the February 2019 edition of the Quebec Diocesan Gazette. Giving thanks for the life and ministry of the Rev. Canon Harold Brazel, a rule of life as a new year's resolution, the ministry of archives, the challenges to parents sharing the story of faith with their children. All of this and more in the January 2019 edition of the Quebec Diocesan Gazette. Acknowledging and giving thanks for the Naskapi people's contributions to the life of our diocese, conferring the Order of the Diocese of Quebec on a good and faithful servant, and the bishop's report to the Diocesan Executive Council are all in the December issue of the Quebec Diocesan Gazette. A diocese "worthy of survival," praying and rafting in the Deanery of Quebec, reflecting on All Saints, and a call for another Reformation. 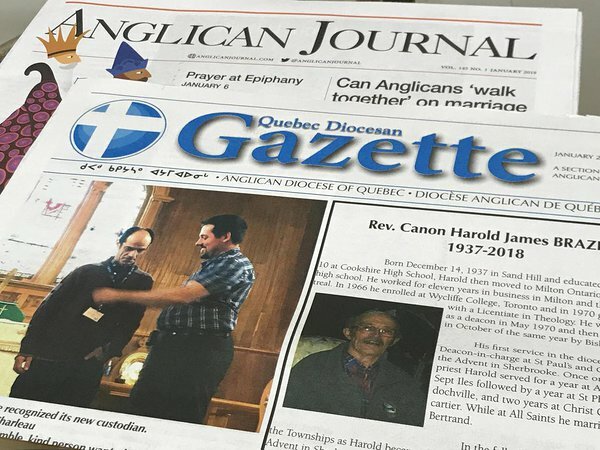 All that and more in the November 2018 edition of the Quebec Diocesan Gazette. A pilgrimage along the Way of Saint James, "singing a new song unto the Lord" in the Deanery of Gaspé, and a look back at some summer events across the diocese are all a part of the October 2018 edition of the Quebec Diocesan Gazette. 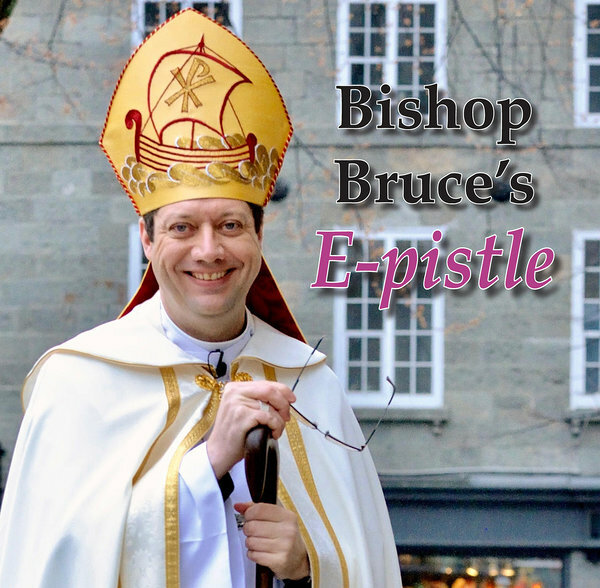 Bishop Bruce's latest periodic newsletter about the life and work of the Diocese of Quebec is available here. 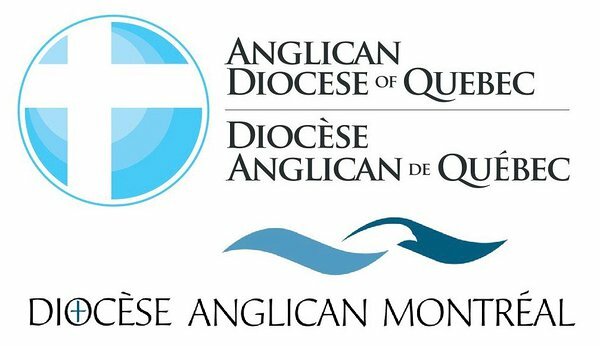 A bishop's cross-Canada ride takes him through the Diocese of Quebec, Provincial Synod prunes itself for mission, and the Anglican Foundation of Canada holds its annual general meeting at the Cathedral of the Holy Trinity. Read about all this and more in the September 2018 issue of the Quebec Diocesan Gazette. 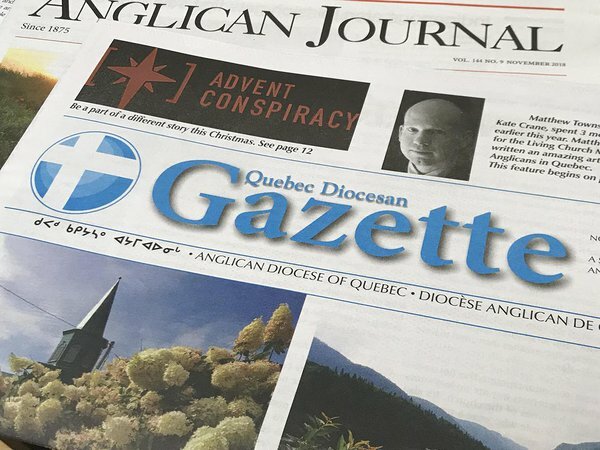 Honouring the call from Kawawachikamach, a fundraiser to support a self-sacrificing Muslim neighbour, and the bishop's report to the Diocesan Executive Council are all a part of the June 2018 edition of the Quebec Diocesan Gazette.